Normally people set up indoor grow operations because they live in an environment where you can’t grow plants year round, or because they’re trying to control the plant growth environment for some particular reason. Whatever your reasons for setting up an indoor grow operation you’ll want to take a close look at what your options are before you get started. If you’re just looking to grow one or two houseplants you may not need an elaborate set up, but if you’re looking to grow most of your family’s vegetables or you want to start a business to sell produce on the open market, things get a little more involved. There are many different ways to set up an indoor grow operation, but not all of them are safe or desirable. If you take a quick search through the news I’m sure you’ll find more than one or two stories of grow operations that went wrong and it’s usually because they weren’t set up properly to begin with. We’re going to take a closer look at what your choices are for an indoor grow operation and which ones are the safest and most viable. Can I Grow Plants in Any Room in My Home? Unless you’re simply growing a couple of houseplants to add to the decor of your home it’s probably best to stay away from setting up anything too complex in a normal room of your home. 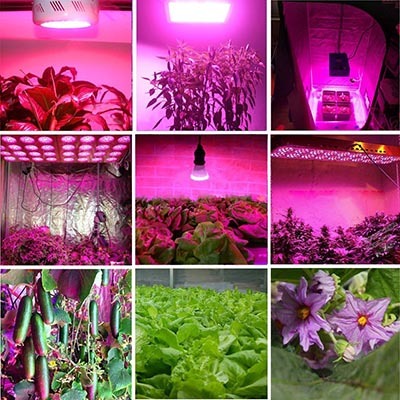 There are many reasons for this, including the inability to optimize the lighting for your plants and the safety concerns that generally come along with using specialized lighting. Plants need light sources that operate in the right part of the spectrum and are placed close enough to provide the amount of light they need for proper growth – this is hard to set up in a normal room in your home. Normally the ceilings are too high, so you can’t simply hang the light from your ceiling. This only leaves the option of using lamps, which unfortunately have a tendency to get knocked over and present significant safety risks due to fire. Even if you can secure the lighting so that it won’t be knocked over it still poses a safety risk because of the extreme heat that indoor grow lighting produces. Growing plants in a normal room in your home simply isn’t a good option. How about an Existing Shed? You might consider setting up a grow operation in the shed in your yard, but this also has some serious disadvantages. Sheds normally don’t offer a lot of natural light or ventilation options which are both essential to the plant growth process. Even if you can hook up some electricity in your shed you still have the problem of how to dissipate the heat and provide your plants with proper ventilation. Again, this is probably a method that you want to avoid if you’re serious about producing healthy plants that you can actually obtain crops from. A very popular option for setting up your own grow operation is something called a grow tent. You can find a lot of these available online and they range in price from around $100 all the way up to about $10,000. The more expensive ones generally also include all the other equipment you need to get started. 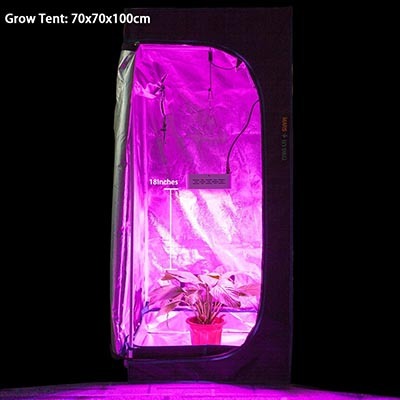 A grow tent is specifically designed for growing plants indoors so they have built-in framework for ventilation, cooling, and for setting up lighting. The great thing about grow tents is that they’re also quite portable, which means you can move your operation fairly simply if need be. This type of setup is generally ideal for someone with more modest indoor grow targets that don’t require permanent setups. If you’re looking to establish a significant grow operation indoors there is really only one choice – an indoor greenhouse. These can either be set up in completely artificial surroundings away from natural light, or in glass-enclosed structures outside that also reap the benefits of natural light along with artificial light when necessary. Indoor greenhouses are designed to house extensive grow operations and they include mechanisms for setting up artificial lighting, ventilation, and cooling when necessary. If you’re setting one of these up keep in mind that they’re relatively permanent structures and they require a great deal of initial expense to set up. In my opinion there really are only two serious choices when it comes to indoor growing operations: a grow tent or a greenhouse. I wouldn’t necessarily say that either method is better as it really depends upon the size of your operation. If you’re setting up a small grow operation a grow tent is probably better, but if your intention is to establish yourself as a major indoor grower your best to go with a greenhouse. No serious indoor grow operation should ever be set up in a normal room of your house without some significant custom modifications.